28.02.2014. ICC Georgia is pleased to announce the opening of a new office in Batumi that has been in high demand from businesses in Ajara and it offers direct access to the services from ICC Georgia. The opening ceremony will occur today 28 February 2014, starting at 5pm where a presentation will be given by the Chairman of ICC Georgia Mr. Fady Asly and followed by a social event. The new office is collocated with the office of the International Investors Association. Osman Chalishkhan - Mjavanadze, who is one of the members of the Board of Directors of ICC Georgia, will be the senior representative at the new location. “This is a positive step for Georgian businesses not only for Ajara but for the whole country, Ajara is a very important destination for investors from all over the world and the presence of ICC in Ajara will help them integrate very easily in the business life of the country” said Fady Asly, Chairman of the Board. 28.02.2014. The Real Wine Fair is delighted to welcome back a sizeable contingent of Georgian wine growers for the 2014 event. Wine is truly integral to Georgian culture; it enjoys a sacramental function, for whilst many people have their own Qvevri and make wine to put on the table, the very love of wine itself symbolises a simultaneous deep-rooted attachment to the (mother)land and a love of one’s fellow man and one’s family, and a spiritual love for nature. This relatively small country is now having an enormous impact on the world wine scene and, in particular, its revived traditions have captured the hearts and minds of many leading growers from other countries. For the natural wines made in Georgia possess a remarkable energy; from organically farmed vineyards, made in qvevri whether with or without prolonged skin-contact they truly throb with life. The renewal of this wine culture is in its relative infancy; the vines need to become more established and the terroir influence to develop fully, yet the strong identity of the wines indicates a singular self-determination that is immensely attractive to those searching how to establish their own individual wine culture. 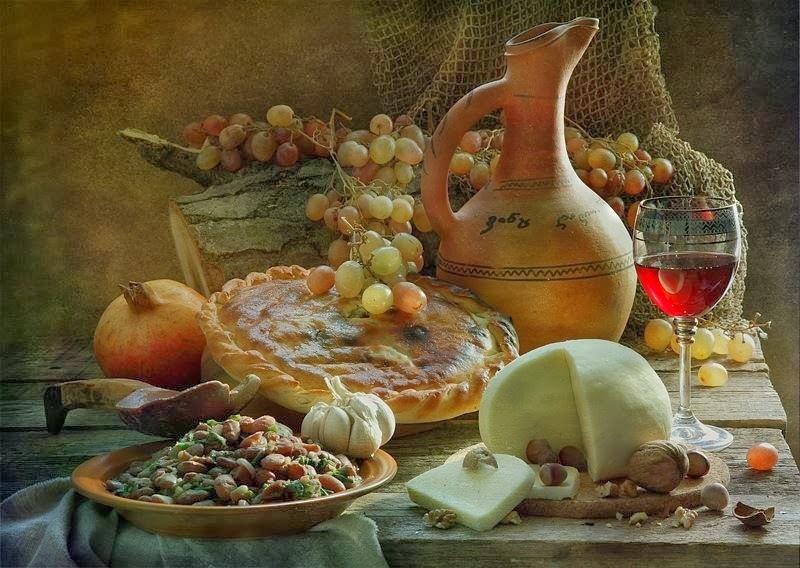 As well as presenting the wines over the two days of the fair the growers will be hosting a traditional Georgian “Supra”, a banquet of many dishes, many wines, many toasts and hopefully, much spontaneous song! President Margvelashvili celebrates the qvevri wine culture tradition at Winery Khareba's "Tunnel"
27.02.2014. President of Georgia Giorgi Margvelashvili has visited Georgia's famous wine-making city Kvareli in the Kakheti region, to celebrate international recognition of the ancient art of traditional wine-making. The President attended a ceremony to mark the traditional Georgian method of making qvevri wine, approved by UNESCO as Intangible Cultural Heritage. "We are proud of being at the edge of entering the Europe and augment the world civilization,” Margvelashvili said. The wine event was organized by the Ministry of Agriculture and the Winery Khareba, a wine production company. Winery Khareba's wine complex "Tunnel" was used as the venue for the event. 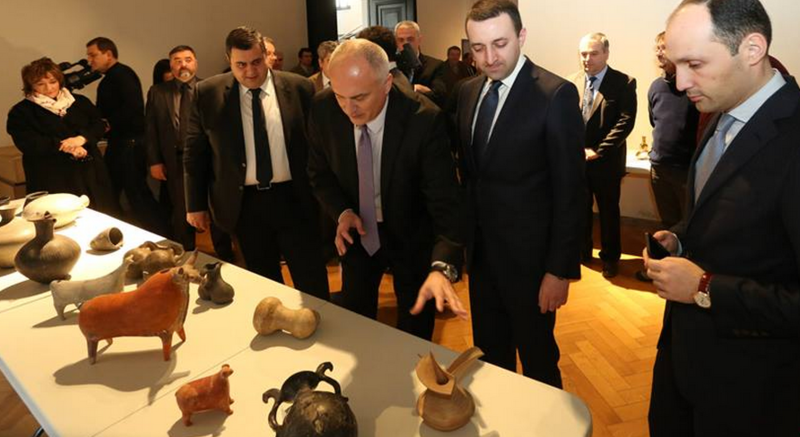 Guests had an opportunity to attend the exhibition showing ancient Georgian wine vessel and photos. The great wine tasting session was another big reason why guest flocked to Kavreli, as they were welcomed to the wine-tasting ceremony. The event featured a documentary film about the qvevri wine-making method, shot by Georgian director Merab Kokochashvili. 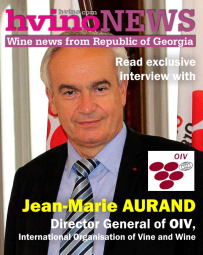 "Back To The Roots": Qvevri wines are in a category of their own – and they now have UNESCO World Heritage status. A tradition that celebrated its beginnings 8,000 years ago in the South Caucasus, today's Eastern Anatolia, is now happily making a comeback in Europe. An increasing number of daring vintners are going 'back to the roots'; some are experimenting with one or two Georgian Qvevris or Spanish Tinajas, while others have turned the full focus of their production to it. 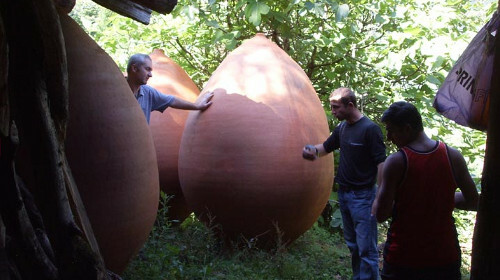 There can be no doubt that winemaking in amphorae is still a niche business, yet interest in it is quickly growing. 24.02.2014. We spent the weekend searching for a bit of the country Georgia in America. We had to travel about three hours from central Maryland to central Virginia. We visited Castle Hill Cider and discovered an outdoor marani with several buried qvevri. The qvevri were different sizes and were produced in Georgia. One broke during transport and stands guard over the marani. Other pieces of the broken qvevri are in the tasting room. Staff use the broken pieces to show visitors the wax lining on the inside of the terra cotta qvevri. Castle Hill Cider in Keswick, Virginia may be the only cidery in the world that makes a cider in a qvevri. Pippin apples are crushed and just the juice is placed in the qvevri to ferment. The cider remains in qvevri for a few months. The name of the cider is Levity and it has a light yellow color. There is apple on the aroma and taste, but it is less pronounced than other ciders not made in qvevri. We noticed that the Levity was more complex than the other ciders. There were also hints of honey on the aroma and taste and some minerality on the finish. Stuart Madany, production manager, is investigating using more tannic apples in the future. 21.02.2014. The wine companies surveyed by Georgian Commersant FM radio station are talking about the decline of sales in Ukraine in light of developments in this country. Badagoni's director Gia Shengelia says that the processes taking place in Ukraine have not yet been reflected in trade relations between Georgia and Ukraine but notes that 90% of restaurants and supermarkets stopped work, causing a significant decline in sales. Shengelia adds that if wine supply to Ukraine faces problems, it will reduce the company's sales, but so far the trade partner of Badagoni in Ukraine implements wine import according to the schedule. A share of the company's exports in Ukraine achieved 15-25% of the total export. 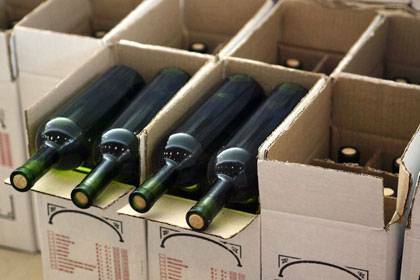 Telavi Wine Cellar also confirms the decrease in wine sales in Ukraine. According to Zurab Ramazashvili, chairman of the company’s supervisory board, their partner company in Ukraine informs about the sales decline. But problems with the supply of wine have not been created yet. Ramazashvili adds that Ukraine is one of the largest trading partners where 20-25% of the total export are sold. 22.02.2014. 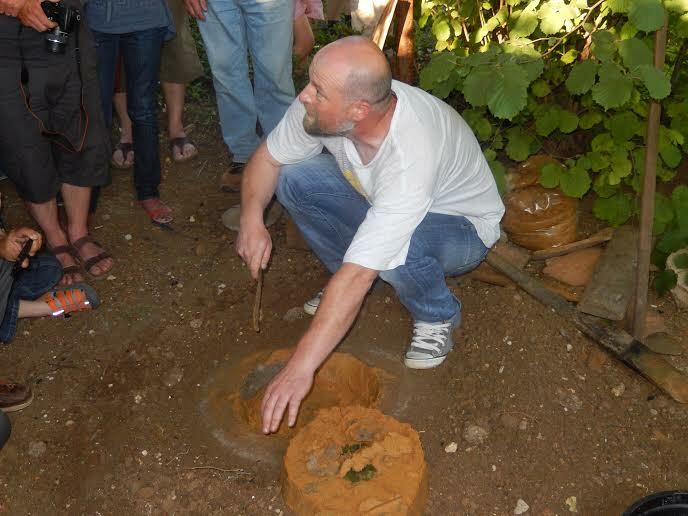 Carlo Catani, an activist with the Slow Food movement, was at a wine show in Italy two years ago tasting some bottles from Georgia when an idea struck him: what if he were able to convince Italian winemakers to make wine using the traditional Georgian method of fermenting it in large clay vessels known as kvevri? The initial idea was something of a joke, says Catani, who works on promoting wine culture in his native region of Romagna. But the more he thought about it, the more intrigued he was about the idea. “We talked to some producers in our region, and 15 of them agreed to try doing it. Our goal was to help spread Georgian wine culture, but another goal was to get the producers to collaborate among themselves, which was something they usually didn’t do. 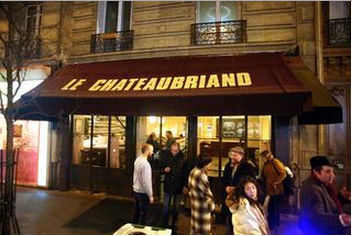 This was the only way they could make this kind of wine in a good way,” Catani says. And so was born what is still an ongoing experiment – to make Italian wine with a Georgian accent (or is it Georgian wine with an Italian accent)? 21.02.2014. The Real Wine Fair is delighted to announce that it will be holding a traditional Georgian Supra, a celebration of Georgian wine, gastronomy and culture, at its pop-up restaurant, The Unfiltered Dog on Monday 14th April 2014. The banquet will be prepared by Georgian chef Giorgi Rokashvili and will feature a range of speciality Georgian dishes such as red beans with wild thyme, oyster mushrooms with tarragon and green plum sauce, chicken livers with caramelized onions and white wine, lamb chanakhi and churchkhela with honeycomb. Wines from the twelve Georgian growers and winemakers attending the fair will be copiously poured, and the feast will be punctuated with many toasts made by the tamada (the ceremonial host for the evening) and traditional songs. Tickets for the dinner will cost £55 per person and will shortly be available to purchase. 20.02.2014 (Hvino News). 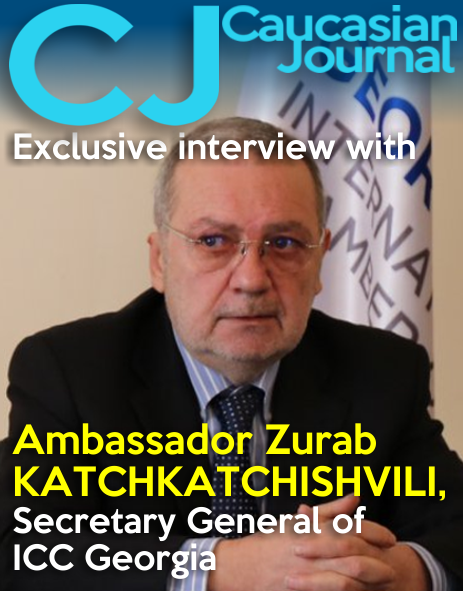 According to Georgian Commersant FM, Georgian and Egyptian investors will build a new grape processing plant in the Kutaisi free industrial zone (FIZ). Currently six Egyptian companies are operating in the Kutaisi FIZ. According to the manager of the industrial zone, the investors have already bought 30 acres of vineyards in the region. Mikheil Tigishvili says that the construction of the plant is underway, where the grapes harvested at the company-owned vineyards will be processed. The project envisages an investment of 2 million USD. 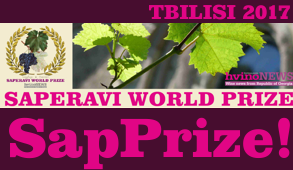 Rkatsiteli and Sapervavi wines will be exported to other countries. 15.02.2014. You wouldn’t have thought but just a few hours from Sochi one of the world’s great wine regions is starting to produce seriously good juice again. Jordan Salcito on the Georgian wine revival. The Republic of Georgia is a mere 260 miles south of Sochi, along the Black Sea. That’s slightly longer than the distance from New York to Boston – a stone’s throw, especially by Russian standards. Despite the proximity, Olympians and Sochi tourists are unlikely to be drinking much Georgian wine this winter. Until last year, they couldn’t even buy it, under a seven-year Russian ban on Georgian wines. Georgia’s wine industry has taken some rough blows. Phylloxera struck in the late 19th century, and in the 20th century, Soviet winemaking mandates encouraged quantity above quality. Gorbachev’s anti-alcohol campaign in the late 1980s obliterated a great deal of vineyard area (though, as Jancis Robinson notes in The Oxford Companion to Wine, mainly state vineyards suffered as “no Georgian farmer would be willing to pull out his own vines”). In 2006, Russia imposed an embargo on Georgian agricultural products, including wine. Russia’s chief health inspector, Gennady Onishchenko, claimed they were contaminated with heavy metals and pesticides. 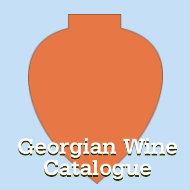 Until the embargo, Russia purchased roughly more than 80% of Georgia’s wine production. 13.02.2014. Presentation of the "Georgian Vineyard and Viniculture Research Project" was held by the National Wine Agency. General Director of the Georgian National Museum Davit Lortkipanidze, Minister of Agriculture Shalva Pipia, and the head of the National Wine Agency Levan Davitashvili, attended the presentation together with world renown researchers and scientists. Georgian Prime Minister Irakli Garibashvili attended the presentation. Presenting the Georgian Vineyard and Viniculture Research Project at the Georgian National Museum on February 11th, Garibashvili raised the idea of establishing a Georgian Wine Day, which would be annually celebrated on the last Sunday in October. Garibashvili said the history of Georgian viniculture is inseparable from the history of the Georgian people. And thus, the vineyard and viniculture are equal parts of the Georgian identity. “We are obligated to take care of our viticulture and promote its preservation and development,” the Prime Minister stated. 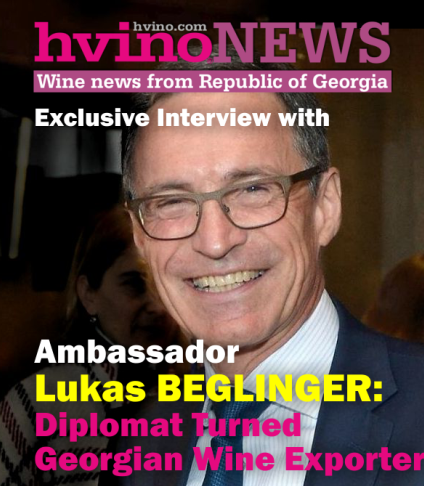 He said that Georgian wine, made in special wine vats, astonishes the world and is becoming more and more popular. “It is not accidental that the Georgian wine vat was granted the status of a cultural heritage by UNESCO,” Garibashvili stated. 13.02.2014. Marani, a new Georgian restaurant that features hand-painted murals and what is claimed to be the largest selection of Georgian wines this side of the Caucasus mountains, is set to open in London's Mayfair in March this year. The restaurant, which sits on what was the site of Tempo, at 54 Curzon Street, aims to champion a "lighter, contemporary style" of Georgian food through a menu created by Georgian chef Tekuna Gachechiladze. It will revive authentic flavours, inspired by Georgia's location on the Silk Road, with Indian spices, ingredients from Persia and cooking styles from the Middle East, alongside French and Mediterranean influences, while also offering modern interpretations of traditional “supra” dishes. The dishes, many of which are designed for sharing, will include classics such as Khinkali dumplings, Khachapuri cheese bread and spiced broths, alongside slow-cooked stews served in cast iron pots, skewered meats prepared on the mangal grill and vegetarian dishes. 12.02.2014. Georgia’s Prime Minister Irakli Garibashvili has proposed an initiative to create a wine museum in Tbilisi and to establish a National Wine Day in Georgia. Garibashvili made this announcement today at the presentation of "Wine Culture Research Project” at Georgia’s National Museum. "I am proposing an initiative to create a wine museum. It will become a center where the entire history of Georgian wine will be collected. I am sure this kind of place will attract many Georgian and foreign visitors,” Garibashvili said. The PM then appealed to the Wine Agency to start working on the museum project. As for the Georgian National Wine Day, Garibashvili said the day would be celebrated in October. "I also want to initiate celebration of a wine day on the last Sunday of October. This will help to further popularise Georigan wines,” Garibashvili added. 11.02.2014. Demonstration of new promotion mechanisms of wine and spirits, as well as popularization of culture of their moderate consumption are the main accents of the upcoming XIV International Exhibition “Wine & Winemaking. High Degree”. For the workers of the wine-producing industry of Ukraine the main event of the year will be held on March 20-22, 2014 at the Exhibition Centre of Odessa Sea Port. The venue remains the same! Territory of the exhibition will be turned into unique platform of effective business communication of producers, retailers and representatives of public bodies as well as a platform for unforgettable reality show for consumers who have a rare occasion – to be able to taste first and only then to buy guaranteed quality beverages. 11.02.2014 (Hvino News). A museum of Georgian wine will be opened in Tbilisi upon the Georgian Prime Minister's initiative. 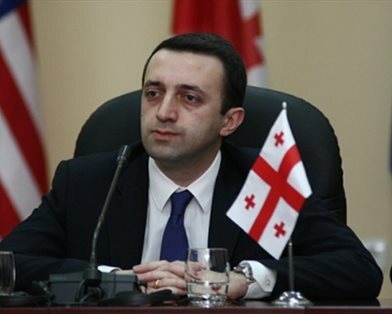 In addition, Irakli Gharibashvili proposes to establish a day of Georgian wine, which will be celebrated annually on the last Sunday of October. He says that the country with such a huge tradition should have a place where history of Georgian wine will be presented. In his words, a museum of wine should be created in Tbilisi and it's going to become a center where the entire history of Georgian wine would be collected. Premier Minister believes that the museum will be visited by both Georgian and foreign visitors. Gharibashvili asks the National Wine Agency as soon as possible to begin work on the museum project. PM says that these new initiatives will help further popularize Georgian wines. 07.02.2014 (Hvino News). Deliveries of Georgian wine in Russia were twice higher than forecast. According to Russian Customs Service cited by RBC Daily, six months after the termination of the embargo 14.79 million liters of wine (more than 21 million bottles) were imported from Georgia. Thus, Georgian winemakers hit the top ten importers, taking total imports of 5.45 per cent in real terms. Prior to the embargo in 2005, the figure was 9 percent. According to the experts' forecasts, the return of Georgian wine to Russia was supposed to be much more modest. Gennady Onishchenko spoke of up to 6 million liters and one percent of the Russian market, which could “overpower” Georgian importers. But despite pessimistic prognosis of former hear of Rospotrebnadzor, after 7-year pause Kindzmarauli and Khvanchkara quickly returned old positions. 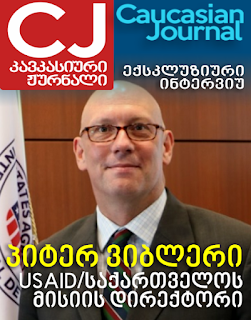 Slightly more optimistic in April 2013 was the head of the National Agency of wine Levan Davitashvili. According to him, this could be about 7 million liters. 06.02.2014. Gogi Topadze, Georgian beer magnate and member of the Georgian Dream coalition, has demanded that the government publish the text of the Georgian-EU association project for public discussions. Topadze himself has already read the document and knows that the agreement will give Georgian products access to the world’s largest market. The document has already been initialed at the Vilnius summit of the Eastern Partnership and cannot be changed. Signing of the association agreement may result in blocking access to the Russian market, refusal to sign it is risky in the light of events in Ukraine. Over 20 million bottles of wine were sold in Russia, or 5.5% of total wine imports in Russia, in the months following the lifting of the 7-year trade embargo. Georgia has doubled wine exports, gaining additional millions of dollars of income and creating thousands of new jobs. 02.02.2014. By hook or crook, by science and archaeology, Georgian government intends to dig up or nail down the “cradle of wine,” and prove it is not in a neighboring country. Still, in the wide world of wine there must be room enough for the Georgian and Armenian wine cultures. Already from the north Georgia is encroached upon along its “creeping” border with Russia; surely to the south it is not too late for peace in our time. 01.02.2014. The wines of Georgia are having their show again in Paris, first here in Chateaubriand, the wine-wise restaurant on Avenue Parmentier in the 11th, then in several other wine events including in the ones popping up around the Loire Wines Fair in Angers, namely Les Pénitentes in Angers and La Dive Bouteille in Saumur. That's why Angers is a good wine destination at this time of the year, because in addition to the wines of the Loire region, you can taste the wines from many other regions and meet these winemakers who share the passion for real wines. 01.02.2014. ICC-Georgia is delighted to announce that by the end of January it will be launching its new initiative - ICC Georgia Discount Card that offers to its members and members’ staff exclusive cut-price deals. ICC Georgia is supporting again its members by establishing the most inclusive and diverse M2M discount project ever offered in Georgia by any business organization. 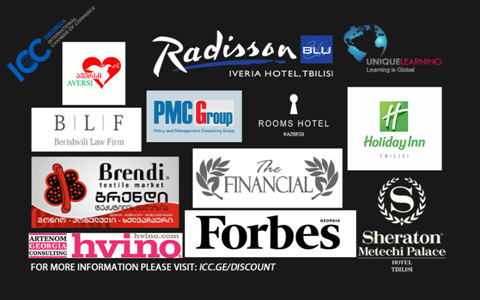 The cardholder is eligible to receive 15 different discounts from various businesses [including Hvino.com - HN]. For detailed list, please click here. The discount list of participants will be constantly upgraded and increased throughout the year. The aim of the program is to increase customer loyalty, company visibility and revenues for discount participants; while for the cardholders it gives an opportunity to get discounts on various services and products offered by participating members. More than five thousand cards will be distributed by end of January to ICC Georgia members and to their staff as well as to ICC Georgia Youth members. The number of eligible card recipients will be in constant increase with the participation of more ICC members into the program. 31.01.2014. Due to sharp depreciation of Russian Ruble, the analytics predict 10-15% price increase on the alcohol, although Georgian wine producer states that it will not change any thing for Georgian wine exporters. Member of the board of a leading Georgian wine company Tbilvino Zurab Margvelashvili states that the company makes payments to Russian suppliers in "stable currency" and that's why export incomes of Tbilvino in USD will not changed. Director of Federal and Regional Markets Research Center of Russia Vadim Drobiz stated in the interview with Izvestia that due to Ruble depreciation to USD and Euro, they expect about 10-15% price increase on the imported alcohols. Especially they expect price increase on wine and strong alcohol drinks.